I bet the ones who went to Dizzy’s Club Coca-Cola on Tuesday, Sep 25, were charmed with the excellent lyricism and enthralling atmospheres of Norwegian pianist Tord Gustavsen, who returned to the trio formation for the new ECM album, The Other Side. 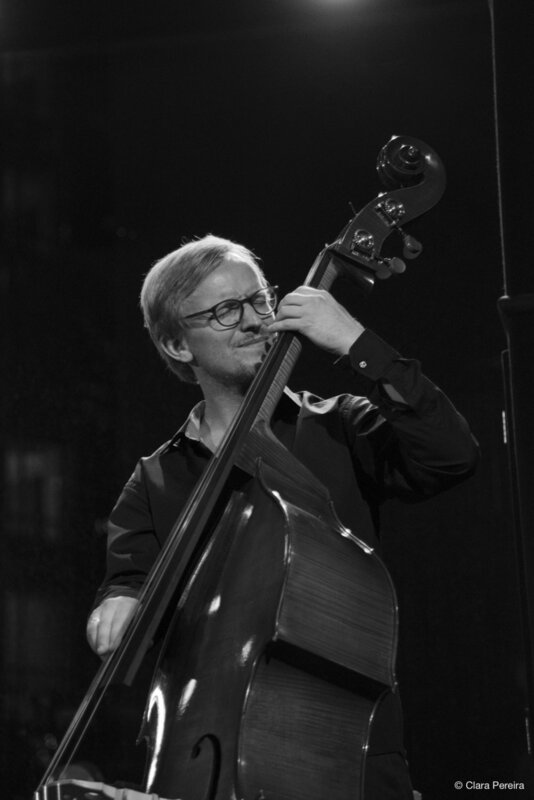 Sharing the stage with him were bassist Sigurd Hole and drummer Jarle Vespestad, owners of a rhythmic consistency and understanding that serves the pianist’s intentions with exemplary assurance. They started off the second set with the messianic folk intonations of “Ingen Vinner Frem Til Den Evige Ro”, an 18th-century psalm penned by Swedish priest Lars Linderot. The trio elevated it to a heavenly introspection, exerting some mystery to attain the right mood. Without interruption, they quietly slip into “Right There”, a soulful original retrieved from the 2013’s quartet album Extended Circle. It was initially driven by Vespestad’s arrangement of wet tom-toms and punctilious rim shots, and melodically conducted by piano and bass. The trio revisited a couple more pieces from previous albums, cases of “Graceful Touch”, which delivers classical melodies over an ingratiating bolero rhythm; and “Wide Open”, an evening prayer that does justice to its title. Although “The Tunnel”, “The Other Side”, and Bach’s “Jesu, Meine Freude”, all compositions from the latest work, evinced the habitual spiritual depth and intimacy, there were also moments when the music felt more rock-centered, exhibiting great grooves with rhythmic intensity and occasional burnished arco bass drones. Gustavsen thanked his music cohorts and also the ‘fourth’ member of the trio: sound engineer David Solheim. It was a flawless concert, full of beautiful experiences and strong appeal. Just by looking at people’s faces, one could conclude that Gustavsen had the number of followers increased with this performance.